I am a Design Technologist with endless energy to design, prototype and evaluate. Currently I'm employed at Skopei Digital, where I develop websites and proof of concepts. I study Design for Interaction at the TU Delft. I'm graduating with Hike One on inclusive smart home devices. Find me on LinkedIn, Github or mail. Enthusiasts have been developing smart homes for years. Their smart homes are not perfect and not easy to control in case of exceptions. Anyone can overrule automatic behavior with this dimmer. The dimmer learns from these exceptions and provides actionable insights for the enthusiast. Insights can then used to improve automations as to encounter less exceptions. 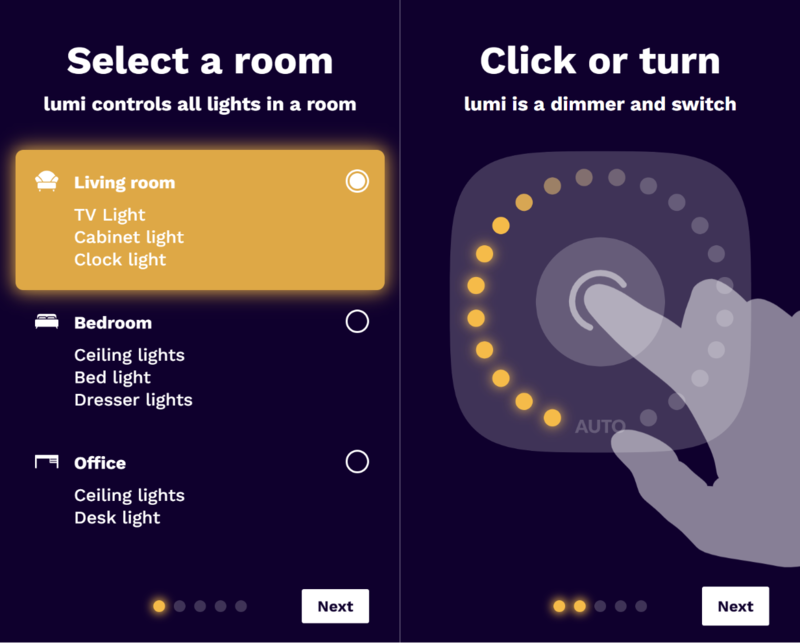 This onboarding prototype introduces a smart home enthusiast to the inclusive smart dimmer. It has them configure the basics and teaches the most important controls. The prototype has them understand the controls and behavior in under a minute. The next iteration will focus on conveying their new responsibilities and utilizing the insights. 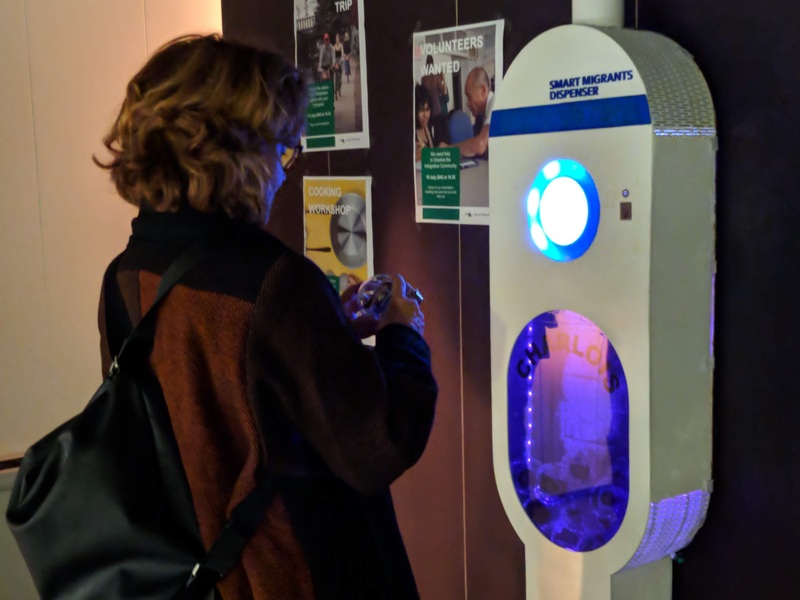 The dispenser was a result of the ITD course, which teaches rapid prototyping of experiences. This prototype conveys a future in which the government has initiated a mandatory integration program. It was made for exhibitions and was featured at the Dutch Design Week in Eindhoven and at Highlight in Delft. The machine was a strong tool for debate, exactly as designed. This was the result of a half year course UXAD, which teaches design evaluation. To provide an accurate evaluation of our final redesign, I built a working prototype. The prototype was wired onto the Senseo circuit board to allow for of our redesign to control the Senseo. Aside from prototyping I was involved with designing, testing and documenting. Cycleshare needed an interface for the guests of Landal Greenparks to rent their bikes. This multilingual frontend is built with VueJS and signifies the point at which I moved away from PHP. RoboValley platform was developed to provide a place where robotics news could be shared and discussed. The platform hosts content that is available after payment, which was realized using Stripe. This is my largest frontend and backend project to date. Supair is a company that helps TU Delft graduates to get technical jobs. This website is a form that generates a resume. The website was my first frontend and backend project at Skopei. The International Festival of Technology is hosted by the TU Delft and features many events. The website features a comprehensive schedule and elaborate event pages. This website was the first in a series of frontend development. 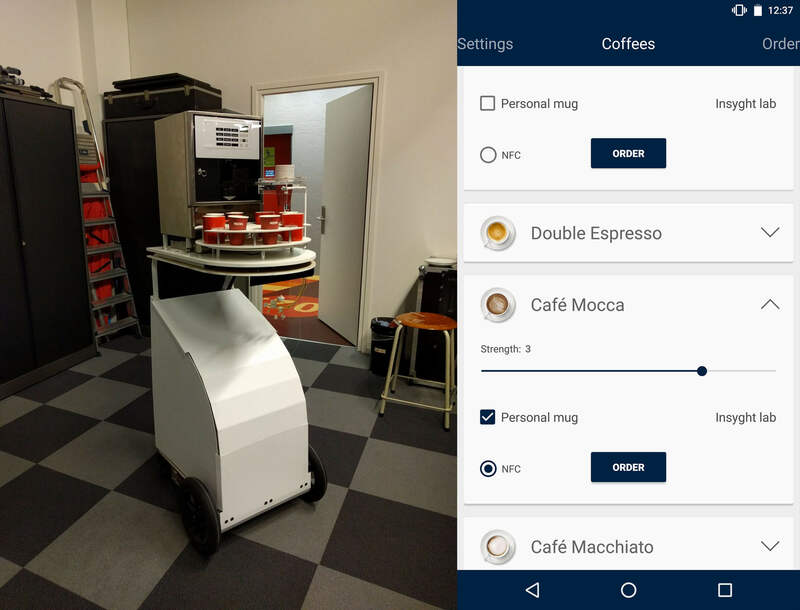 Cobot was built to autonomously deliver coffee in our faculty. The robot was developed during my minor robotics, which taught me about ROS, embedded software and electrical engineering. My responsibilities were project management, the exterior paneling, the android app and all communication software. Play2Rank is a web app that allows you to keep track of your boardgame results. The goal of this project was to make a swift mobile experience. This was my first comprehensive backend and frontend using Laravel. 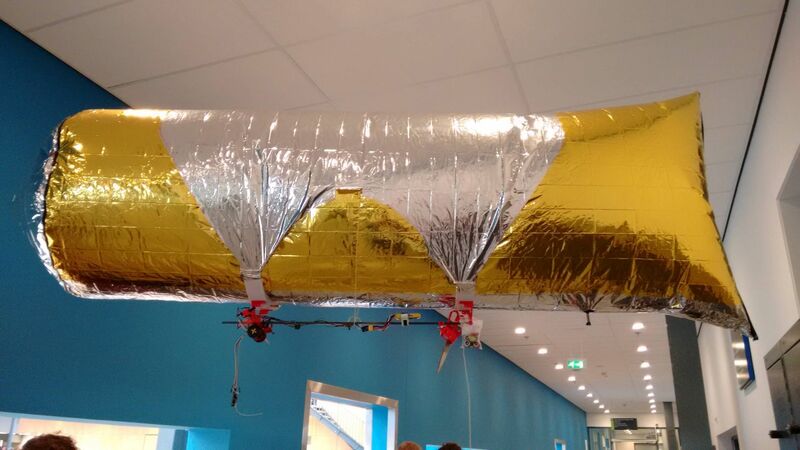 During the Mechatronics elective, we decided to make a blimp. The blimp could be controlled using an android app and was able to stay at a steady height. I learned about Bluetooth communication, android development and control systems. 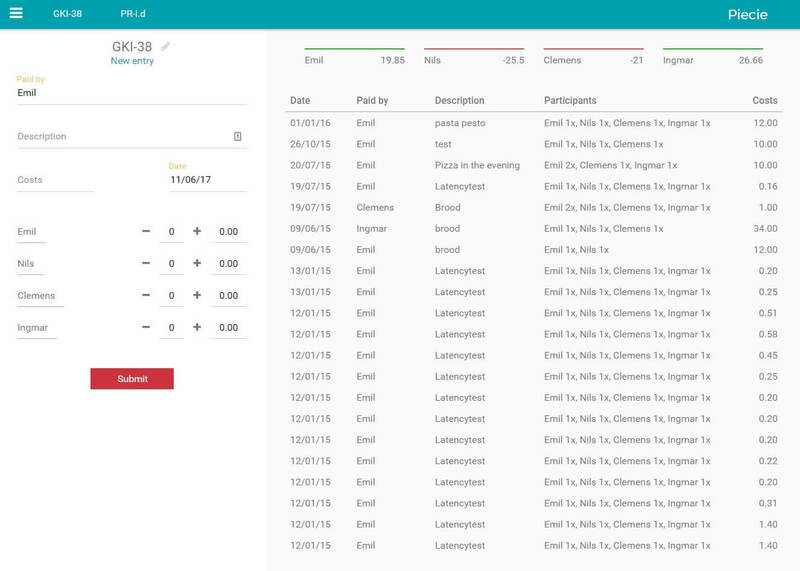 My first web app, which was used to keep track of student home expenses. I had started to get a hang of PHP and I wanted to challenge myself. I learned what was needed for fast response times and mobile performance.